We’ve rolled into February and January sure sped right on by! How many resolutions have you already completed or can you say you still have in the works for this year? I’m hoping you’re still smiling as you read this and are thinking to yourself, my GREATNESS is shining because I’m still on track. My goals of X,Y,Z are still in motion — maybe not totally where I would like to be, but I haven’t quit. You know, that’s huge! You’re still plugging away. You’ve taken a stance, you haven’t given up. You are determined, you have integrity to hold on to the dream and see it to fruition. You ARE Amazing! You ARE DESTINED FOR GREATNESS! Hold on tight and don’t let go! In years past, I probably might have thrown in the towel on most things by now… but not so this year. I’m determined to hold steady and make a go of it. Maybe it’s a matter of growing older and realizing that I need to finish up a few things and I only have so much time to get it all done in. There are old dreams still to be accomplished, and life is to be cherished each and every day – and never ever to be taken for granted! And then again, maybe I’ve just grown a lot wiser…. or it’s a combination of both. Regardless, it’s worth the effort. 😉 And I’m sure blessed for doing so. I can hear my friend saying now, “What does that say about your greatness?” Ah, as I think about it — my greatness is shining in multiple ways, I’m not giving up on dreams and more importantly, I’m taking on new challenges — both with health and life in general. I’m choosing to see these challenges specifically with a “heart lens” rather than a “mind lens” and the greatness blooms in multiplicity; regardless of the challenges in everyday things, there is always something to be great-ful for. Since shifting to my new “lens” I’ve noticed a pattern of change – being able to accomplish more, and hone in where just a few months ago, that would have been impossible. While still faced with some specific challenges, they no longer seem insurmountable. Are you up to the challenge? What’s your greatest dream? Ever looked at it through your “heart lens?” Try it… the fresh look may give you a new perspective you’d like to see more of. 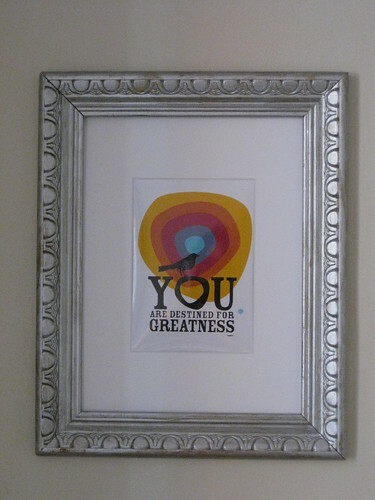 Get your Greatness on!